How long does your MatrixCarbon™ last? A: Matrix Carbon™is the only spherical shaped carbon on the market. It will not compact and create dead zones due to restricted water flow, and, consequently will use up all available absorptive sites before exhaustion. Actual time depends on initial water conditions. In very dirty water, it may last as little as a few hours; in very clean water it may last several months. In general, 3 – 6 months is typical. You claim MatrixCarbon's spherical shape makes it a better carbon. Why does shape matter? A: A spherical pellet has ideal hydrodynamic properties and provides for maximum water flow and contact without the compacting and channeling characteristic of granular activated carbon. 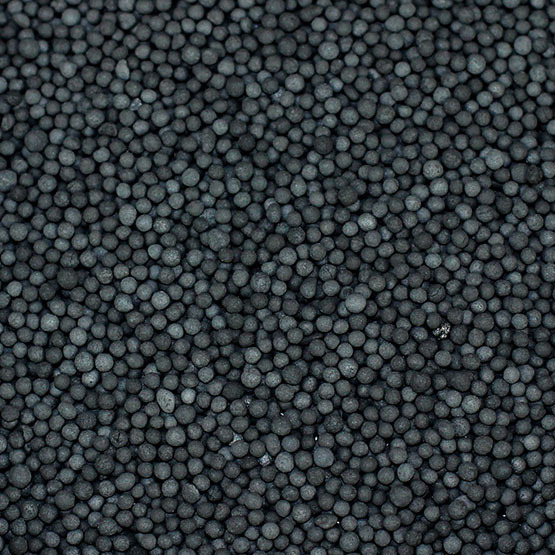 Water channeling is likewise characteristic of carbon pelletized as cylindrical pellets. Such cylindrical pellets were originally engineered for air filtration and have poor water hydrodynamics. 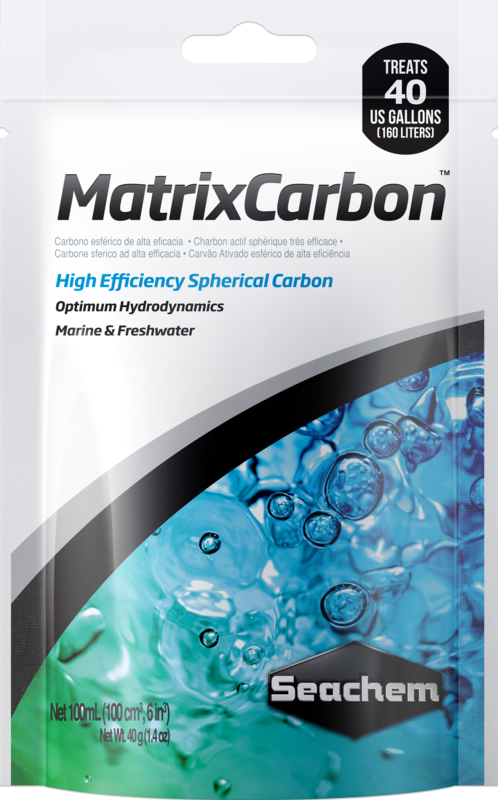 Matrix Carbon™ also has minimal impact on trace elements, an added bonus for the planted aquarium. Compacting occurs over time as the flat edges of granular carbon become situated against each other. Over time, the carbon becomes so tightly packed together that water flow is impeded. When this happens, the water to carbon contact is minimized. Where the problem with granular carbon is being packed too tightly, the problem with cylindrical pellets is not being packed tightly enough. As a result, channeling occurs. Water moves to easily through the channels between the carbon minimizing contact with absorptive sites. MatrixCarbon™ solves both compacting and channeling. 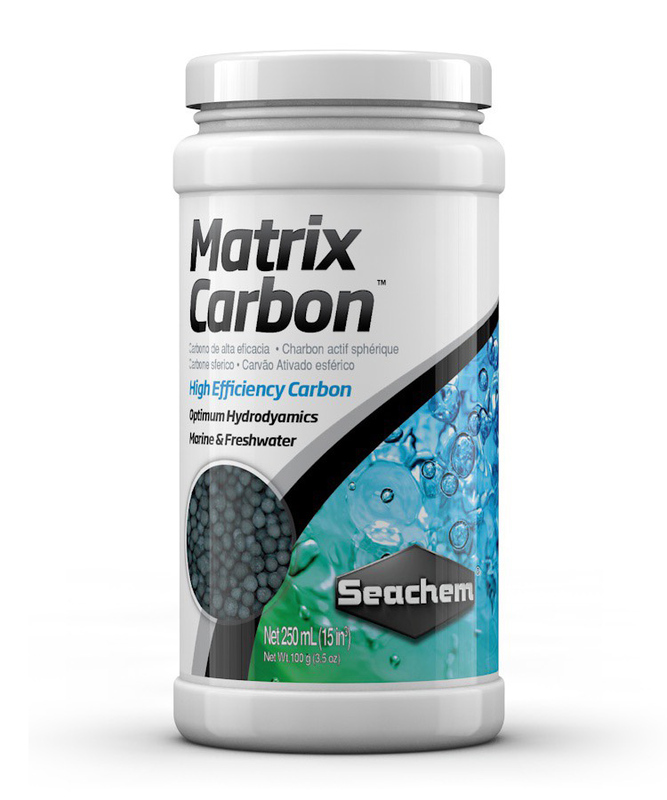 Because of its unique spherical shape, MatrixCarbon™ provides maximum water flow and contact with a high density of adsorptive sites without the compacting of granular activated carbon. Recently I used Cupramine in my tank. Can I use the MatrixCarbon™ to remove the Cupramine™? A: Yes, since Cupramine™ is bound to an organic you can use carbon to remove the product. Will MatrixCarbon™ remove trace minerals from the water? I have a densely planted aquarium and want to be sure that the needed trace minerals and elements are not aggressively being removed by the carbon. 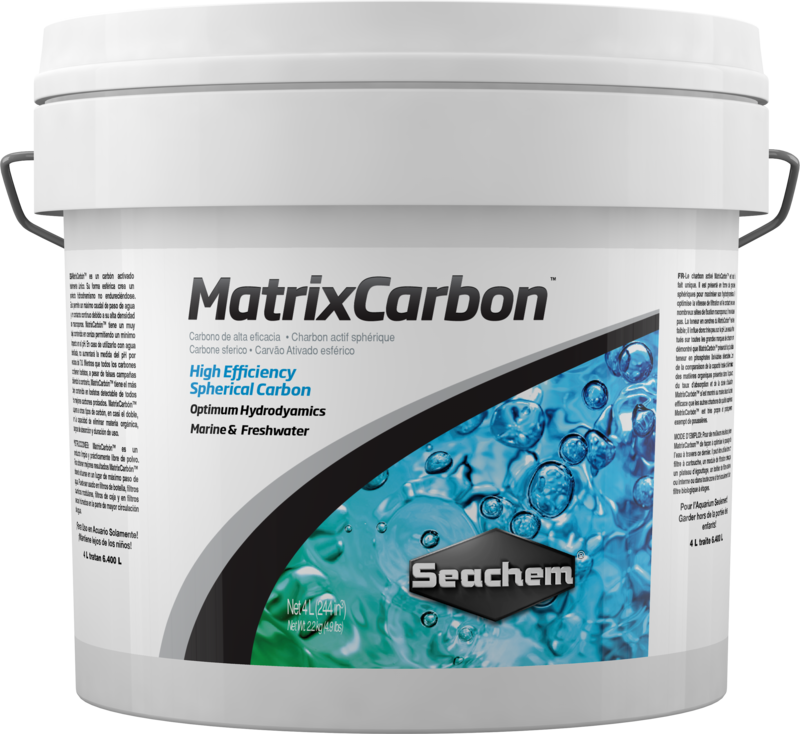 A: MatrixCarbon™ is an aggressive media and will have a minimal impact on trace elements. For this reason, you may want to consider Purigen®. Purigen® is an aggressive organic scavenging resin that is very selective in what it removes. It only wants nitrogenous organic material. This product also polishes water and is regenerable making it more cost effective in the long run. A different company claims that their carbon contains no phosphate at all. If MatrixCarbon™ is so good, why does it still have phosphate? A: All carbons are made from organic material (wood, nut shells, etc. ), so they inherently contain phosphate – it is unavoidable. If a company claims their carbon contains no phosphate at all, it is either not a carbon (possibly a carbon-like substitute such as Renew™) or the company is practicing some creative wording with regards to their carbon. 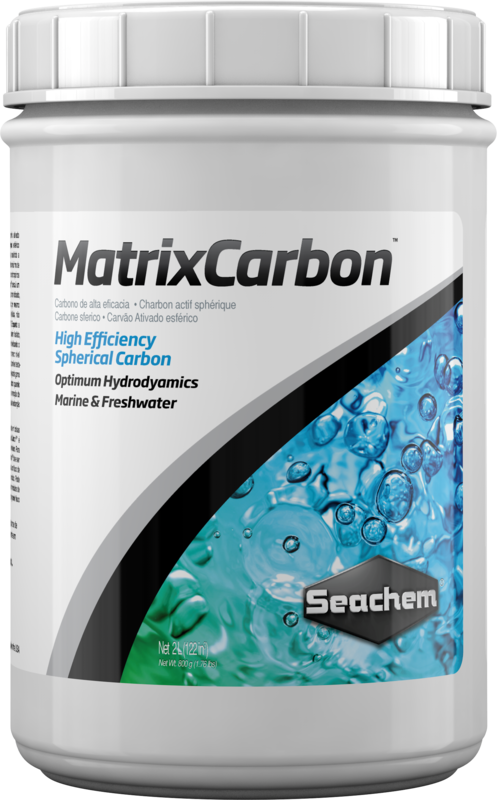 MatrixCarbon™ has the lowest leachable phosphate on the market; it will add less phosphate to your water than any other carbon available.